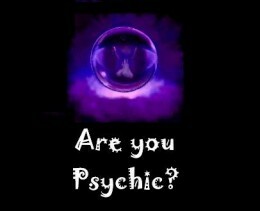 Free Psychic Tests - Am I Psychic? Psychic Cards also known as ‘Zener’ Cards are used to test and establish the existence of extra sensory perception within an individual. Psychokinetic abilities such as ESP are a little like the X-Factor, you either have them or you don’t, and psychic cards such as Zener cards are used to attempt to prove that certain individuals are indeed gifted with such psychic powers. Psychic cards are used to determine the testees level of extra sensory perception, and the test itself is designed to analyse a subjects ability to predict unknown events with a greater level of accuracy than should be permitted through luck. ESP or extra sensory perception is defined as the ability to receive information via means outside of those associated with the recognised senses, or gained from past life experience. Coined by the German psychical researcher ‘Rudolf Tischner’ ESP is a blanket term that combines the psychokinetic abilities of telepathy, precognition, retrocognition and clairvoyance. Psychic cards like Zener cards are probably the most commonly used method today for studying these psychokinetic abilities, created by perceptual psychologist ‘Karl Zener’ in the 1930s for studying clairvoyance these psychic cards come in packs of 25, and feature five different designs, 5 of each. A hollow circle, a hollow square, a greek cross, three vertical waves, and a five pointed star, Zener psychic cards are shuffled and presented to the test subject one at a time, who is then requested to guess or predict which of the five designs adorns the card. Assuming that no presence of extra sensory perception exists within a specific test subject then the success ration of correct prediction should fall around 20%, which is a one in five chance of correct prediction. The greater the rate of correct prediction using the Zener psychic cards above 20%, the greater the argument for and evidence of extra sensory perception within the test subject. And of course, multiple undertakings of the same psychic card test with repeated positive results make it even harder to argue the ‘luck’ case and point towards the likelihood of extra sensory perception. A standard Zener psychic card test usually includes the tested prediction of 25 cards, taken in 5 rounds of 5, and whilst it may be possible (though unlikely) to guess all 25 cards correctly without any form of extra sensory perception, the chances of guessing 50, 75 cards etc. based purely on luck become even more unlikely still. * An additional ESP test using Zener psychic cards tests for the existence of telepathic abilities. One subject will select a card and attempt to mentally project their selected design into the mind of another test subject. A score of 0-5 is in the range of chance, and those scoring within this range are unlikely to possess any extra sensory perception. A score of 10-20 could be a strong indicator of the possession of psychic powers. A score of 20+ out of 25 is in the range of 4-5 times greater than that predicted by chance, those scoring this highly are thought to possibly possess strong ESP and / or telepathic abilities.